The Church of England, or Anglican Church, is the officially established Christian church in England. The Monarch is its Supreme Governor and the Archbishop of Canterbury is the Primate of all England. The Church of England believes itself to be both Catholic and Reformed and has over thirteen million members. Catholic - in that it views itself as part of the universal church of Jesus Christ in unbroken continuity with the early apostolic and later medieval church, formalised in the Apostles', Nicene, and Athanasian creeds. It is an Episcopal church in that the leadership is undertaken by Bishops. The Church of England is based on small geographical areas called Parishes, each served by a Parish Church. Several parishes are grouped into a Deanery presided over by a Rural Dean (who is also the incumbent of one of the parishes) and governed by Deanery Synod comprising both members of the Clergy and of the Laity. A number of Deaneries form part of a Diocese (or See) each of which has a Diocesan Bishop who may be assisted by one or more Suffragan (or assistant) Bishops and a number of Archdeacons. There are forty four Dioceses in the Anglican Communion including two which are not in the United Kingdom. The forty-four Dioceses are divided into two Provinces. Holy Trinity is the Parish Church of Amblecote, in the Deanery of Stourbridge, in the Diocese of Worcester, in the Province of Canterbury. We have a Diocesan Bishop - The Lord Bishop of Worcester, a Suffragan Bishop of Dudley, two Archdeacons - Archdeacon of Dudley and Archdeacon of Worcester. The Dioceses are divided into two Provinces each under the jurisdiction of one of only two Archbishops. The more senior is the Archbishop of Canterbury who is the archbishop of the southern province of England, the Province of Canterbury. He is known as the Primate of All England and Metropolitan. The second most senior bishop is the Archbishop of York, who is the archbishop of the northern province of England, that of York He is, for historical reasons, referred to as the Primate of England. Next in order of seniority are The Lord Bishop of London, The Lord Bishop of Durham and The Lord Bishop of Winchester. St. Albans, St. Edmundsbury & Ipswich, Salisbury, Sheffield, Sodor & Man, Southwark, Southwell & Nottingham, Truro, Worcester. 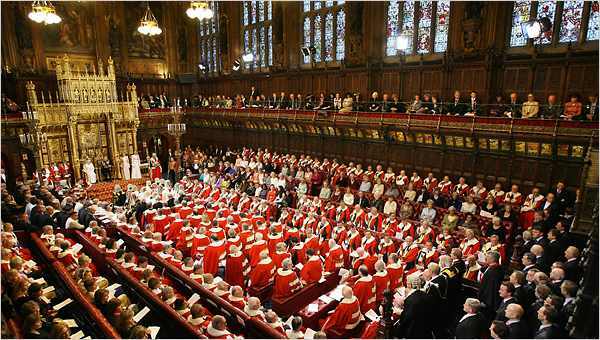 Only twenty-six of the forty four bishops and archbishops are permitted to sit in the House of Lords. The Archbishops of Canterbury and York automatically have seats, as do the Bishops of London, Durham and Winchester. The remaining twenty one are appointed according to the date of their consecration. The Bishop of Sodor and Man and the Bishop of Gibraltar in Europe may not sit as their dioceses are outside the United Kingdom. Those Bishops who sit, at present, in the House of Peers are: Birmingham, Bristol, Canterbury, Carlisle, Chelmsford, Chester, Coventry, Derby, Durham, Ely, Gloucester*, Leeds, Lichfield, London, Norwich, Peterborough, Portsmouth, Rochester, Salisbury, Sheffield, Southwark, St Albans, Truro, Winchester, Worcester and York. *First woman Diocesan Bishop was accelerated to the House of Lords under ‘The Lords Spiritual (Women) Bill’ 2015. Click here for a list of the Suffragan Bishops in the Anglican Communion.